This year’s wine trends have evolved to capitalise on consumer preference, location and convenience. Certain modern trends like canned wine are bursting into the market, while more legendary wines are returning to the scene. Here are some of the latest wine trends that have grown throughout the year. Global wine trends of 2018. Bordeaux wine is red wine produced in the Bordeaux region of southwest France. This wine became famous for its location, as Bordeaux’s climate and soil makes it ideal for growing grapes. It was also a huge port city for centuries, which made Bordeaux’s popularity spread. However, reports suggesting the falling demand of Bordeaux wine arose a few years ago, declaring the wine as “overpriced” and “out of fashion”. This is especially due to consumers having to wait 20 or 30 years to drink this traditional wine, rather than consume it whenever they want to. Château Les Carmes Haut-Brion sales and PR manager Stephanie Libreau explains what happened to Bordeaux wine and why a re-brand is essential. She said: “I think what happened with Bordeaux is that for a long time, Bordeaux was a star, [with] the best wines of the world and then something like ten years ago, some other wines from other countries came forward. Regarding Bordeaux coming back in fashion, Libreau added: “With Château Les Carmes Haut-Brion 2014 vintage, you have 54% of Cabernet Franc. It is important because it has very specific aromas, lots of mineral[s], freshness and floral aromas like violet. One of the less traditional wine trends emerging is wine on tap. The benefits include fresher wine due to no oxidation, corkage or spoilage. 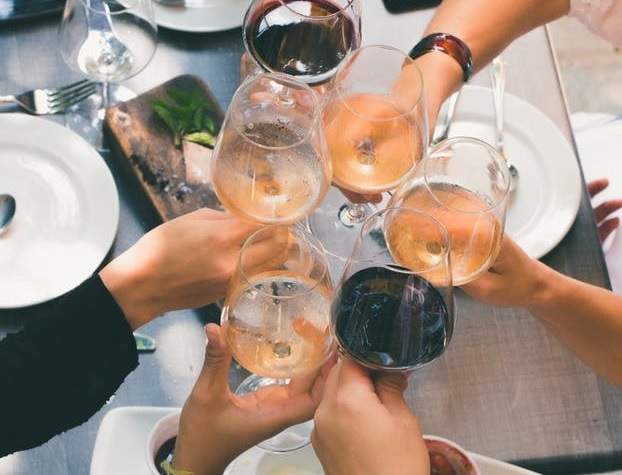 Consumers can avoid losing the flavour and quality of this type of wine and, according to Try Wine on Tap, kegs provide a 96% reduction in carbon footprint and each keg used saves 2,340 lbs of trash from reaching a landfill over its lifetime. On tap importers and distributors The Sparkling Wine Co sells thousands of kegs of wine to establishments each year. Director Andy Morgan explains the benefits of wine on tap and why it shouldn’t be viewed too differently to bottled wine. Chinese influence on wine has grown significantly over the past few years and has contributed to evolving wine trends around the world. According to the Conseil Interprofessional du Vin de Bordeaux, China accounted for over 40% of Bordeaux’s annual wine exports by volume in 2016. The EU made up 35% of exports. China is the top export location for Bordeaux by volume and has been so since 2011. The Drinks Business states that Chinese winegrowing regions are rapidly picking up international praise. Earlier this year, the Yantai region in China gained trademark protection to guard locally produced wines from this area. Chinese wine is making a name for itself this year. Wine in a can may be perceived as less elegant than the traditional bottle, however its sales have taken off recently. Beverage alcohol market research firm BW 166 LLC says that US retail canned wine sales rose by 43% from June 2017 to June 2018. Canned wine isn’t new either, it dates back to around 1936 in the US. UK supermarket Waitrose also entered the canned wine market this year, with the introduction of an organic rosé and Shiraz, recyclable 250ml cans. The cans hold the equivalent to one large glass of wine and are both priced at £3.49. Premium wine specifies wine of exceptional quality or fine wine. The growth of premium wine sales has been predicted since last year, with California’s Silicon Valley Bank expecting a 10% to 14% growth. As a result, sales of Californian wines rose to $35.2bn, climbing for the sixth year in a row.